RE: I am sad..bad day..
RE: Noob Questions - Multiple mining comps, Slow Read times etc. Try using a different port such as 8124 or something. Port forward. Firewall disabled. Static IP address are 3 main requirements. Also, check how fast your Upload/Download speed is. Read speed... not sure how important it is but I care about it a lot. AFAIK it doesn't affect your DL's but sometimes it does I think? Since it's a network drive. If you have access to the actual physical drive itself, defrag the hard drive. Also, turn on write caching in the Policies tab of your hard drive in the Devices Manager. That helps a lot. 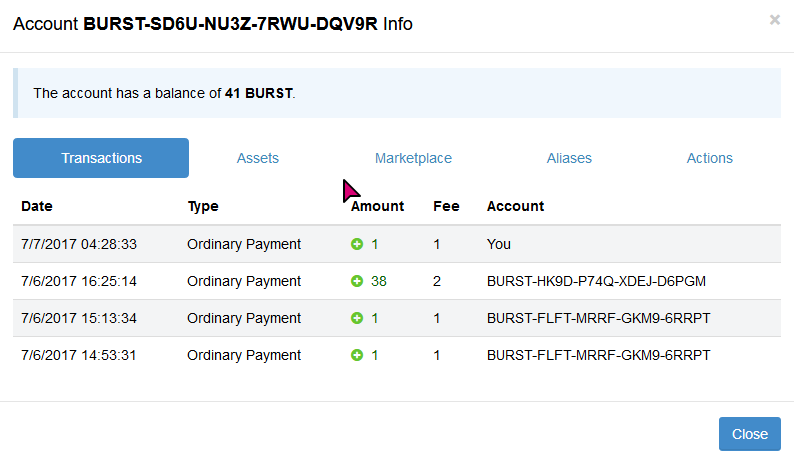 Also make sure if possible update your Blago miner to the latest version and try using _AVX2. If your CPU doesn't support it, use the highest one possible that your CPU supports. This will help A LOT if you can use AVX2. Plotting; Defrag hard drive. Turn on write caching. Make sure your CPU is fast as well as your HDD. Make sure there aren't any heavy CPU/Read/Write tasks going on in the background. I heard RAM is not very important but to be sure, try freeing up some Memory so the plotter can use it. @sonicboom115 Sent you 2 BURST. 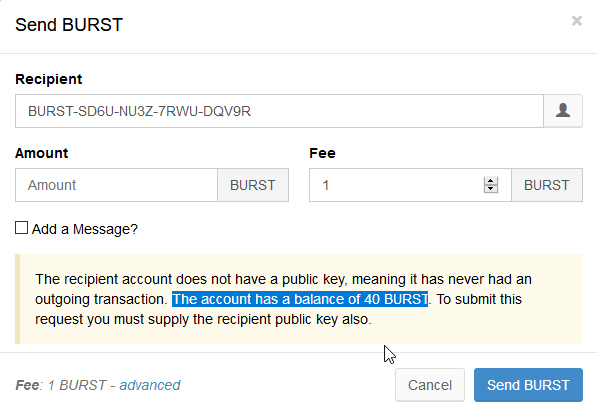 RE: Need BURST to actually start mining and using faucets. @muhammetayten Your* wallet is out of sync. 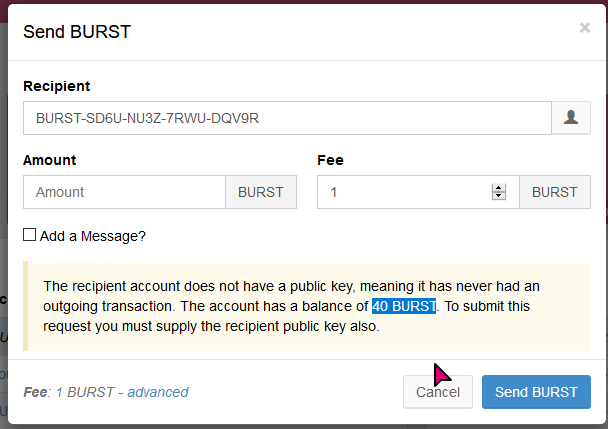 If you're using a local wallet, consider using an online wallet (https://burstwallet.arihanc.com:8125/index.html and login) I'm using this wallet and it's synced. @muhammetayten Yes you do. I refreshed my wallet and it is synced with the blockchain. @muhammetayten Usually I send people 3 BURST but oddly you have 40 BURST and can't do anything. I'll send you 1 BURST and try doing what I showed you again. @muhammetayten Image doesn't show up properly. This simple GIF I made should explain your question.